The Cuban 5 are five Cuban nationals who worked in South Florida to observe the activities of far right-wing Cuban exiles who had for years been mounting armed actions against Cuba, in which thousands of Cuban citizens have been killed. Information they had gathered was passed to the F.B.I. by the Cuban government in the hopes that it would act to put a stop to these illegal activities by the exiles. Instead, the F.B.I. 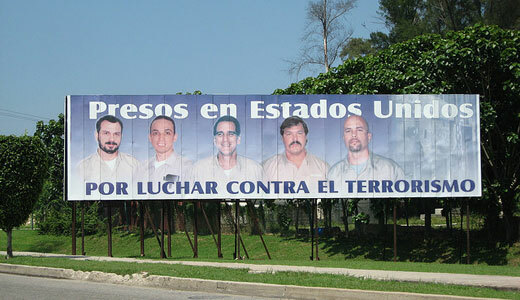 arrested the Cuban 5 and, after a farcical trial, they were condemned to long prison sentences. By now they have been imprisoned for sixteen years. There have been worldwide appeals on their behalf, as the cause of the Cuban 5 has grown into a huge international campaign with involvement of labor unions in a number of countries. Two of the original five, René González and Fernando González, have served out their entire sentences and are back in Cuba, but the remaining three still have long years to serve. One of them, Gerardo Hernández, was convicted on trumped-up charges of murder and sentenced to two life sentences. Saturday’s event, part of a number of D.C. area activities in support of the Five and also part of a global campaign, was one of several that SEIU has sponsored on this issue. Several other unions have passed resolutions or taken other action calling for justice for the five. This is a growing movement, but so far the U.S. government has not responded. It has brushed aside calls for the Cuban 5 to be exchanged for Alan Gross, an employee of USAID, a U.S. subcontractor, who was caught openly violating Cuban law by entering Cuba a number of times as a tourist and providing help to dissident groups. 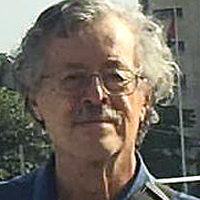 Also speaking was Piero Gleijeses, a professor at the Paul Nitze School of Advanced International Studies at Johns Hopkins University, who has written two books about socialist Cuba’s contribution to the ending of colonialism and apartheid in South Africa. Ann Wright, a former U.S. Army colonel and State department official, could not attend, but sent a written message which reads in part, “Without international and domestic education and pressure, such as the forum tonight and other important conferences of the International Committee for the Freedom of the Cuban Five, to hold the United States government accountable for its actions, accountability will not happen in these sensitive political cases. Gerardo Hernández also sent a message from his prison cell: “How far we have come! There are now committees in support of the Cuban 5 in many countries, and dozens of U.S. consulates around the globe have to endure regular protests at their doors calling for our freedom…. “Sixteen years is a long time but you are a movement that just won’t go away. I cannot reiterate enough the importance of you once again holding activities in the U.S. capital calling for our freedom….